Bespoke Guttering have been supplying and installing rainwater solutions for over 20 years and are at the forefront of aluminium guttering in the United Kingdom. Although we specialise in seamless aluminium guttering, we do supply and install all styles of guttering, barge boards, fascias, soffits and flat roofing solutions. We are a family run business and our success and reputation are dependent on the positive feedback and satisfaction of our clients. We pride ourselves on the quality of our finished product and we aim to ensure that all of our clients are completely satisfied throughout the installation process from order to completion. Our clientele includes a wide range of designers, architects, local authorities and residential customers. We can offers something for all budgets. Our quotations are fixed. There will be no hidden extras, so costs will not alter for both the supply and installation of our gutters. We offer a 30 year guarantee for our installations and the product itself has a manufacturer’s life expectancy of 35 years. 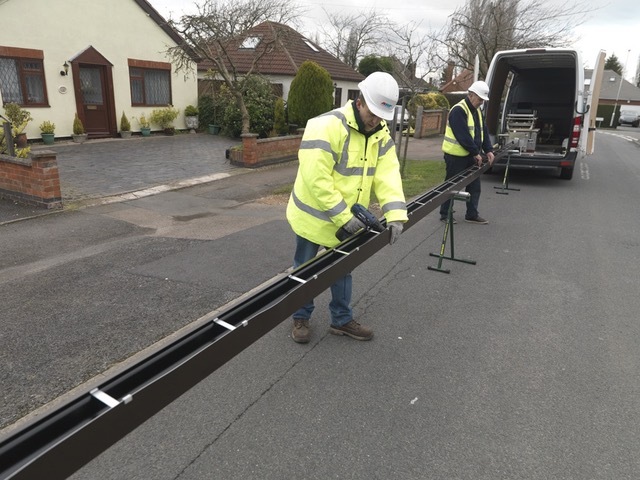 All of our seamless aluminium guttering is roll formed on site ensuring no delivery problems or delays to our clients program. We greatly welcome questions and comments from both our existing clients and those who may be considering our services.